This is a rectangular flange Paterson Overalls porcelain sign. This particular Paterson Overalls sign is predominantly black and white. 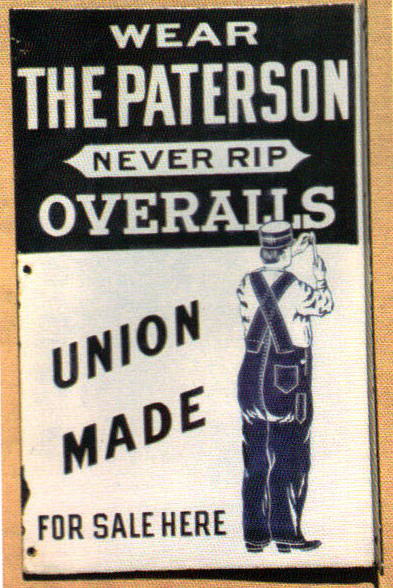 It reads, “Wear The Paterson Never Rip Overalls, Union Made, For Sale Here” and features a blue man wearing Paterson Overalls in the lower right corner of the sign.